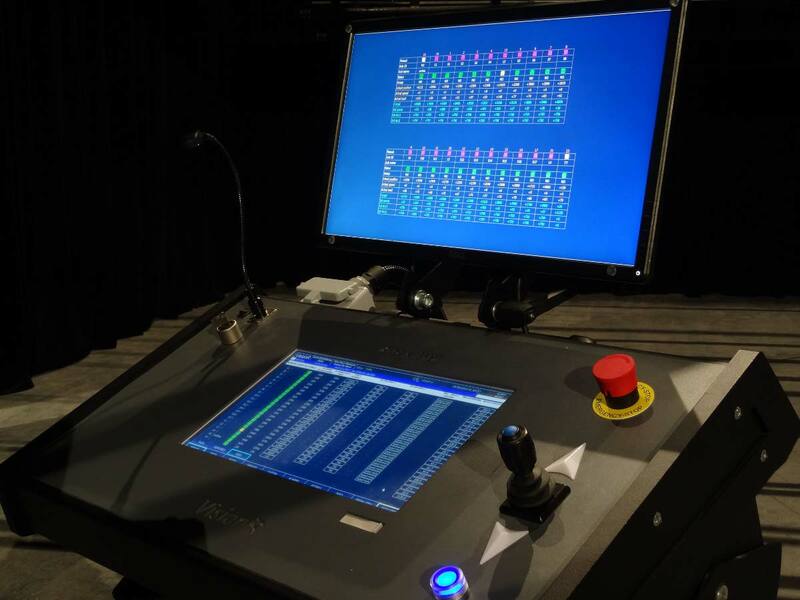 Entertainment and Scenic Design Drive and Controls | Alfa System S.a.s. Whatever the automation to be controlled, be it a simple curtain or a large set of winches and understage axis, the control has to ensure reliability, safety and ease-of-use. The range of our proprietary control solutions, and our strong partnerships, allow us to deliver control solutions meeting almost any requirement in terms of performances, safety level and budget. 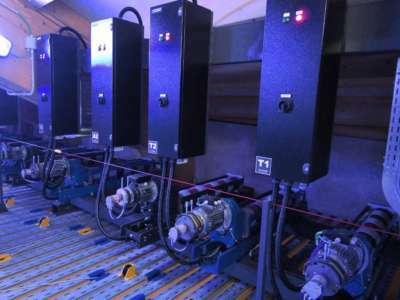 Conceptually similar to many standard chain hoist controllers. 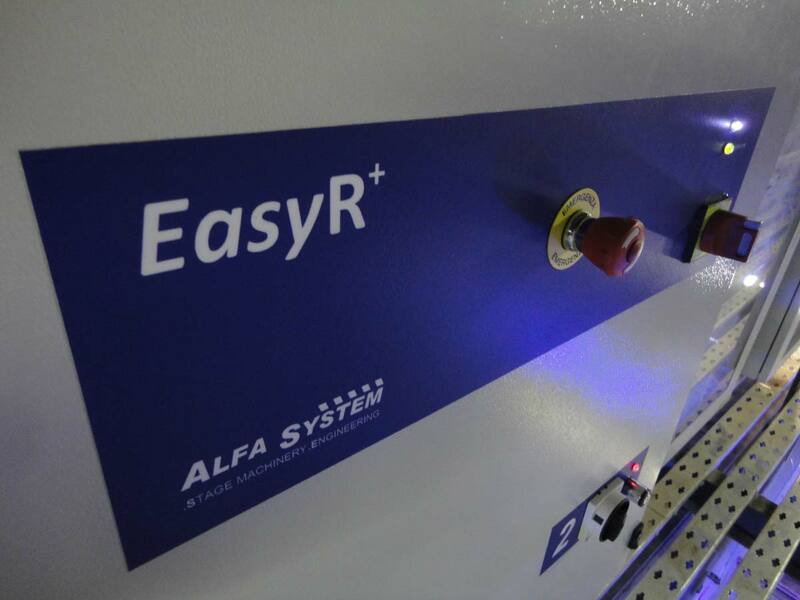 EasyR brings to permanent installations, with fixed or variable speed axis, ease-of-use while adding some useful features more typical of high-end control solutions. 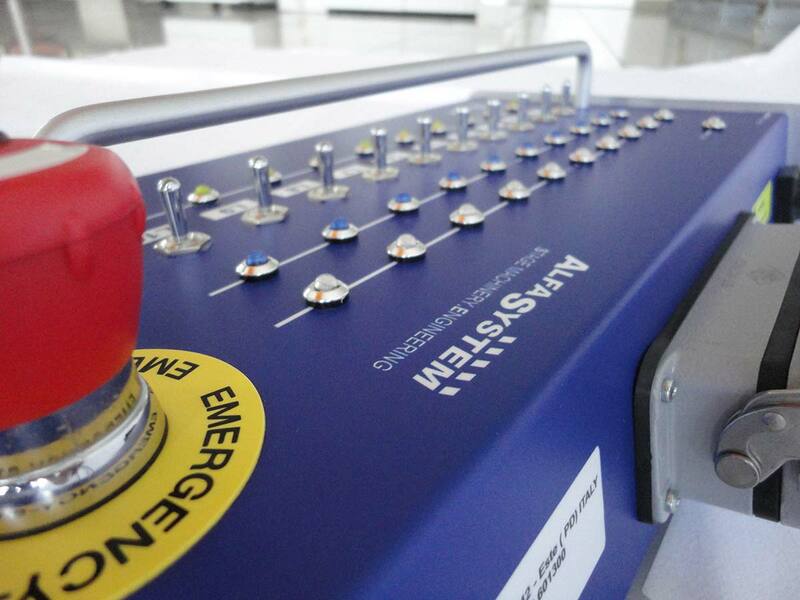 Our configurable and scalable control solution, delivering full control of any axis. From full customization of the axis settings (limits, speed, acceleration…) to cue editing by target / travel / time / speed, from simple manual movement by joystick to customizable cue sequencing. A useful 3D graphical tool allowing to experiment the scenography design for a show and to easily and effectively communicate the artistic idea to the technical team. An accessible solution giving the possibility to study and test the programming of the cues, ensuring a smoother work once on stage.